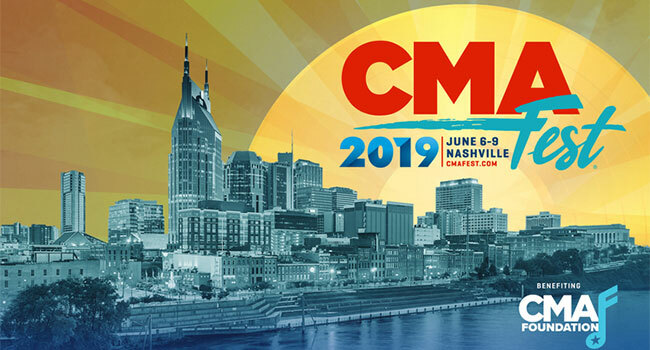 Back for a third straight year, CMA Fest has revealed the lineup for the popular nightly concerts at the Firestone Country Roads Stage at Ascend Amphitheater Thursday, June 6th through Saturday, June 8th with performances starting at 6:30 pm CT each evening. Tickets are required for entry, with three-day reserved tickets selling for $66, single-day reserved for $25 each night and single-day lawn selling for $10 per night, plus taxes and fees. Fan pre-sale begins Wednesday, April 17th at 10 am CT and closes Thursday, April 18th at 5 pm CT, with public on-sale opening Friday, April 19th at 10 am CT. Tickets can be purchased at CMAfest.com or Ticketmaster.com. CMA and Nashville-based Futureshirts have just released even more new merchandise items online at shop.cmafest.com. Recently released CMA Fest essentials include sunglasses, plastic water bottle, sunscreen and more! Order by Tuesday, May 28th to receive in time for the festival. Fans will also be able to purchase official merchandise at several locations across the festival footprint in June.